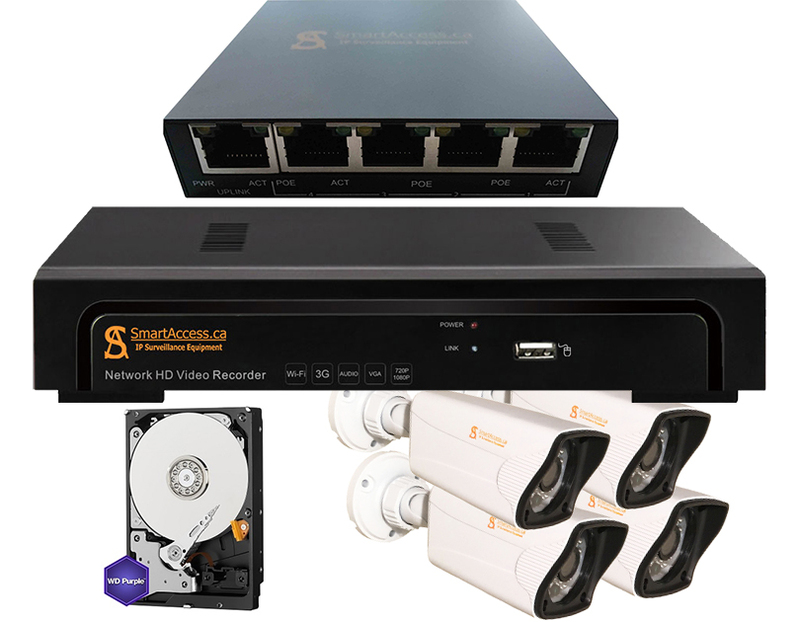 4 IP CCTV Cameras 1080P with Sony Image Sensor 2.43MP, 4ch NVR, 4 PoE ports Switch, WD Purple 1TB HDD. 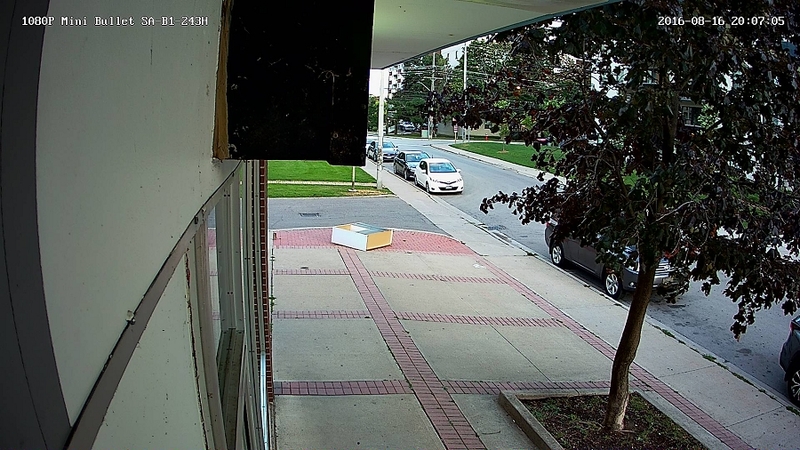 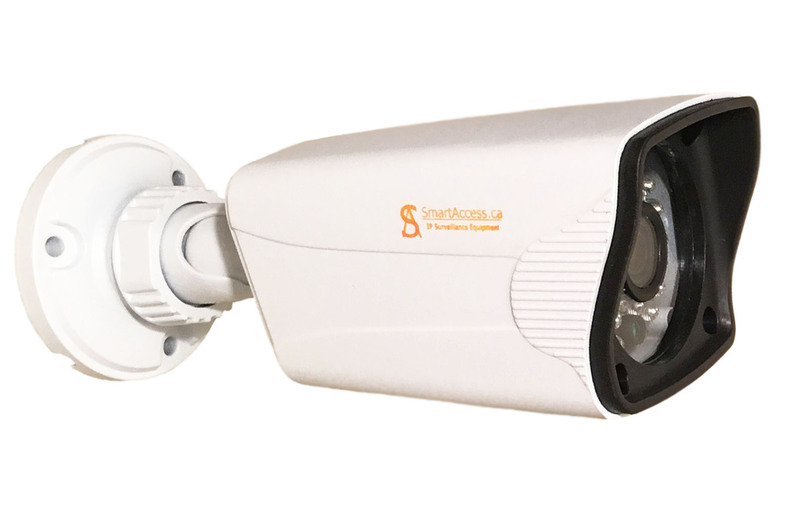 4x CCTV IP Cameras (Sony CMOS Image Sensor 2.43MP) SA-B1-243H, smart choice for small private properties, houses, clinics, stores, restaurants, cafes, and other places, where you need nice and small video surveillance solution with Full HD(1080P) quality, which nicely came up to your place and at the same time provide the best Full HD video quality for you. 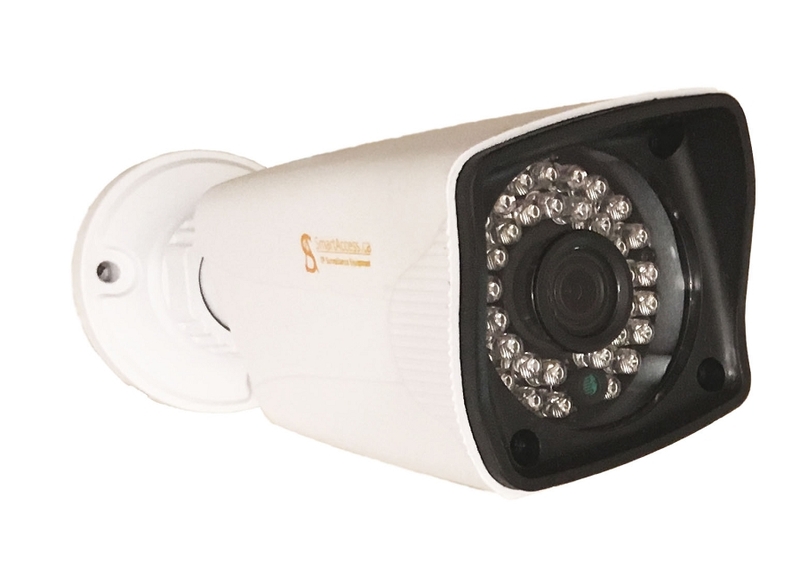 This IP video camera have one of the best hardware on the IP surveillance market, which in combination with Sony image CMOS sensor will make best quality pictures for you. 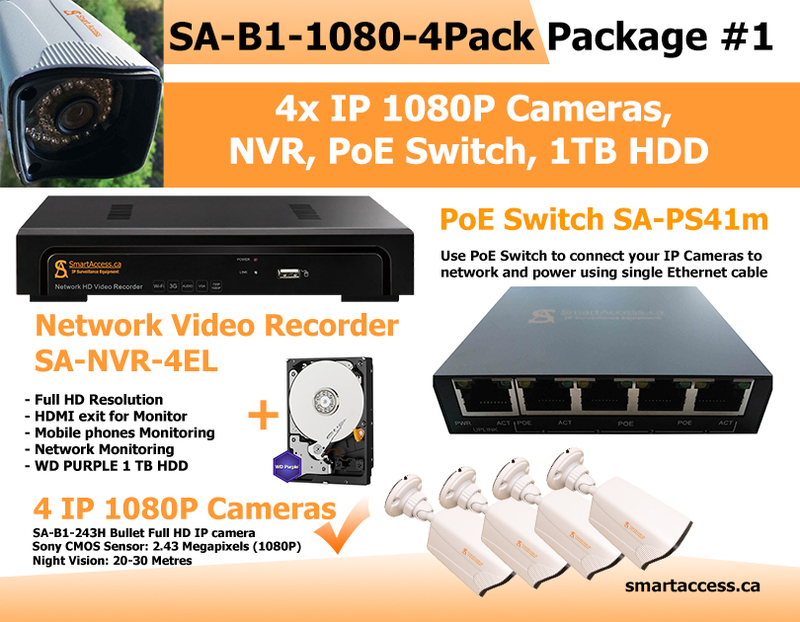 Because this is Non PoE IP Camera, we supply to you our PoE Splitters SA-PD15 for each IP Camera at this package. 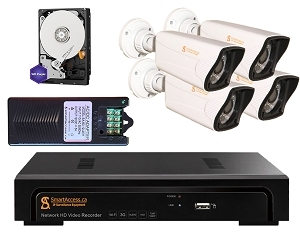 Network Video Recorder SA-NVR1-4EL, the device connects with up to 4 IP video cameras providing a maximum resolution 1920*1080(2MP). 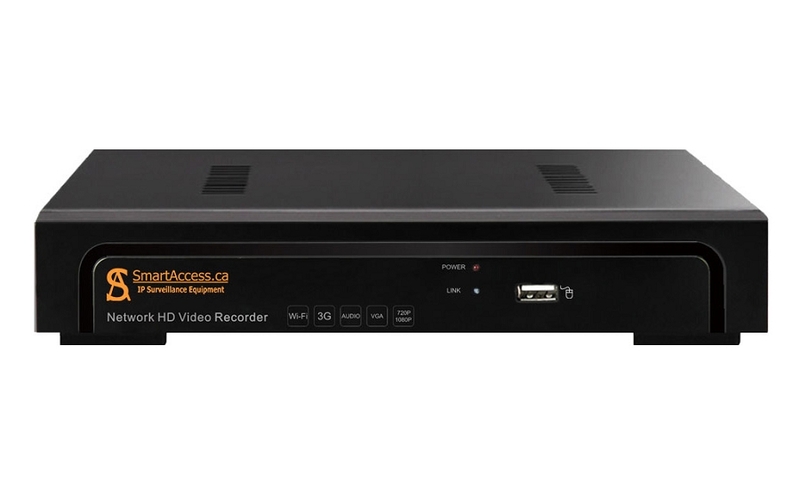 The NVR's software supports 15x digital zooming, the enlarged picture can be rendered on a screen in live mode (from real-time video stream) or playback mode (from recoding). 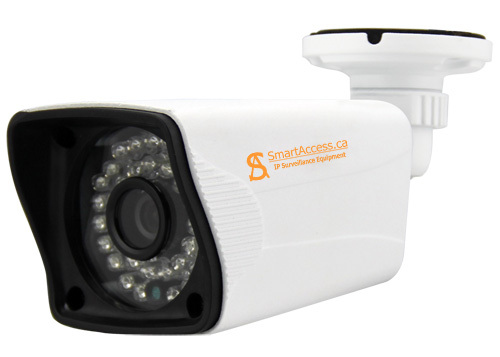 The NVR model SA-NVR1-4EL can be accessible from local network or/and the Internet, to control the NVR and to render its live video streams footage at the convenience of your computer and/or mobile phone screen. 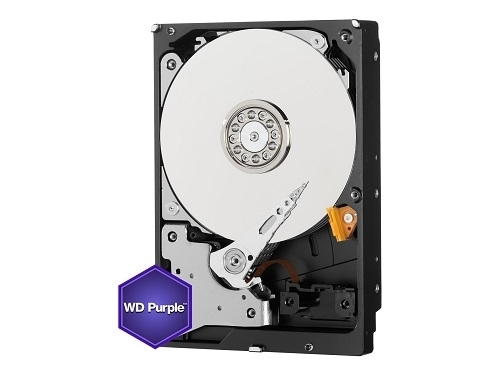 NVR going with Professional Surveillance Hard Drive, WD Purple WD10PURX 1TB Surveillance 3.5" Internal Hard Drive. 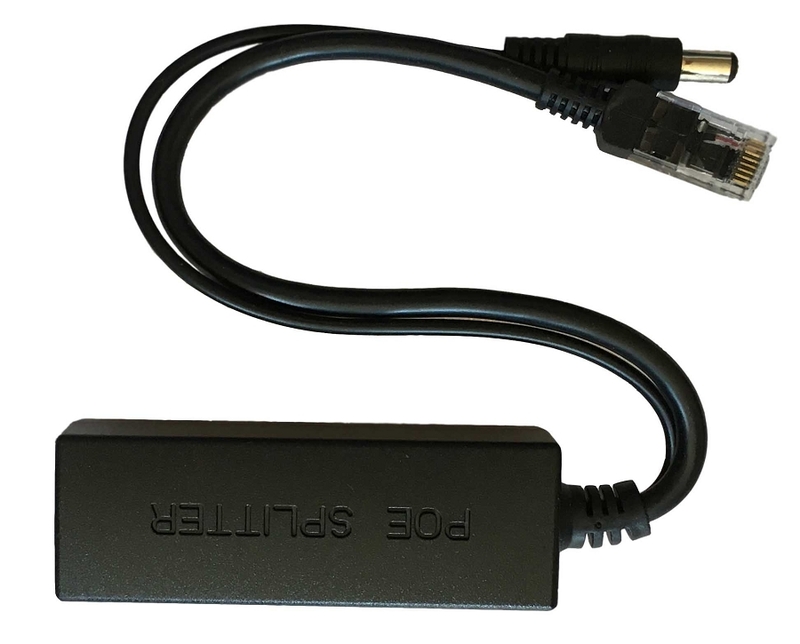 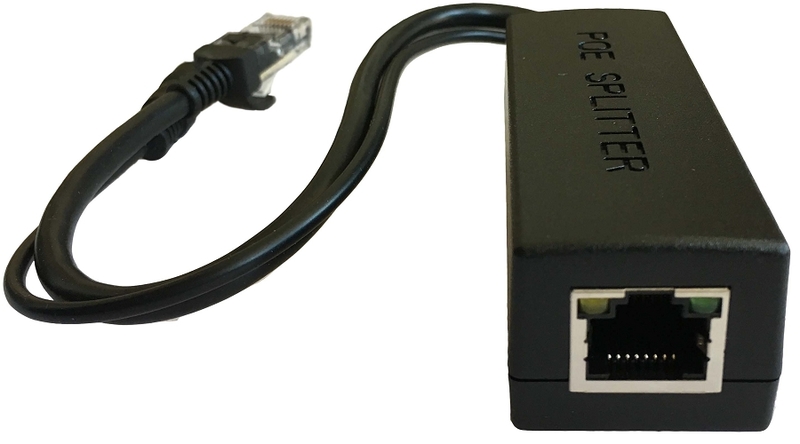 SA-PS41m 100Mbps PoE switch, that provides auto detection and identification of Smart Access Surveillance IP cameras and powering it by Ethernet cable. 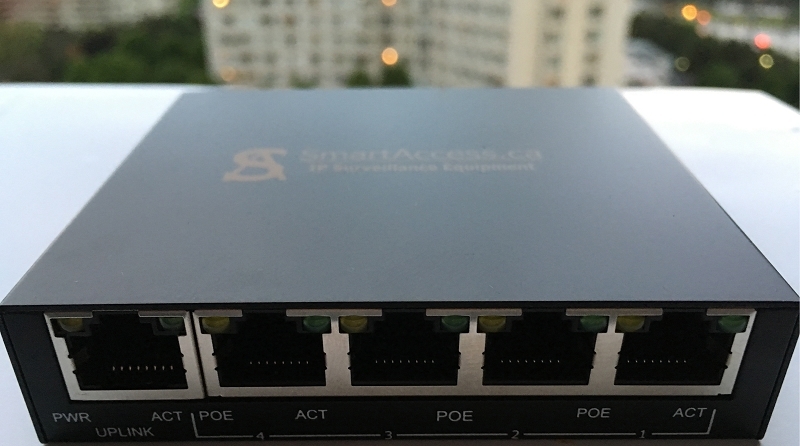 The PoE Switch has 4 PoE/Data ports 1 extra Data port. 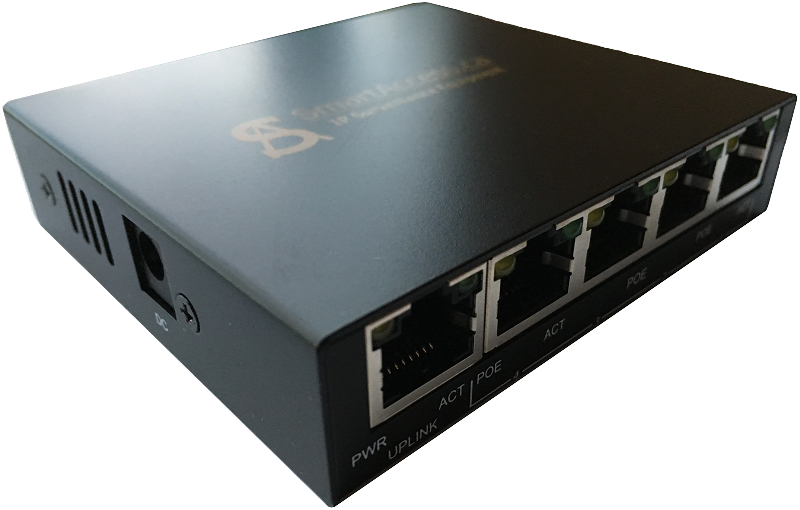 Each port is 10/100Mbps and power out of the PoE switch is 60W. 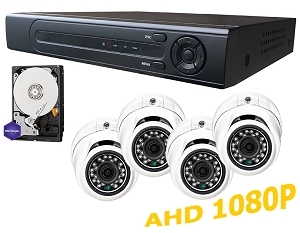 This package i have used for many homes which require good price solutions. 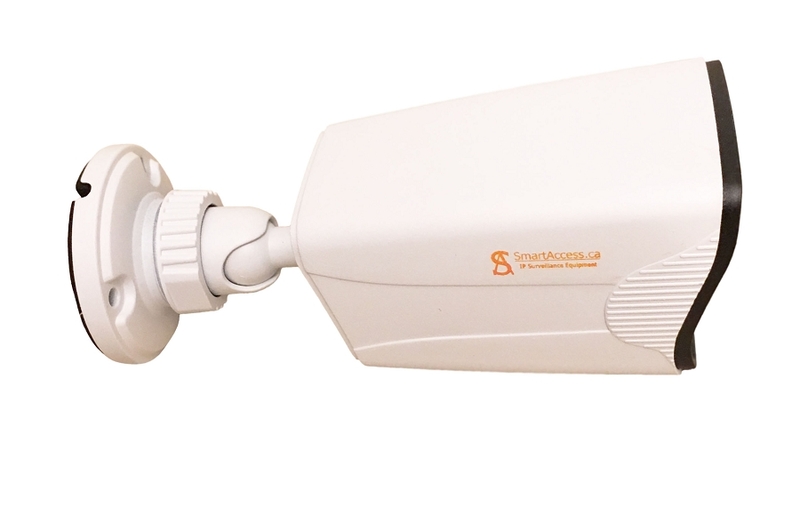 This IP system is the best actual solution comparing to analog competitors. 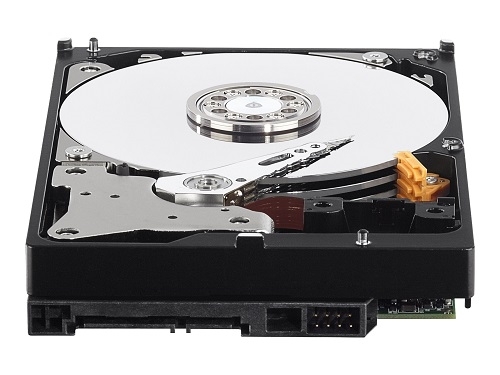 I am happy with this price and the picture they are offering.